Candida is a fungus that requires darkness and dampness for its growth. Therefore, Candida infection commonly occurs in skin folds, in between fingers and toes, mouth, genital areas, gastrointestinal tract etc. It causes inflammation and irritation of the affected areas. Coconut oil is an excellent antifungal that you can easily add to your diet. 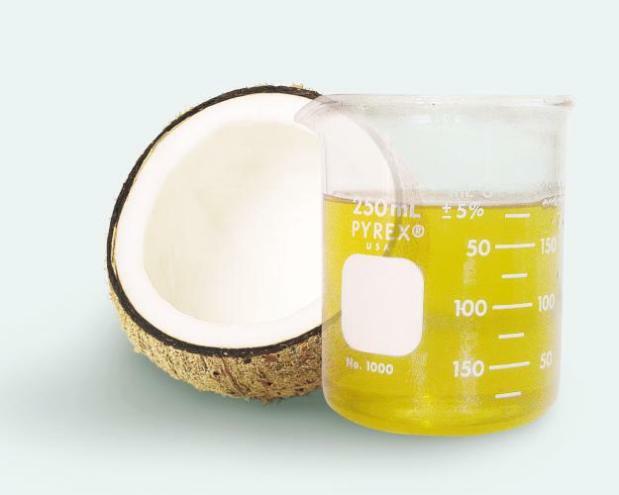 You can either take it as a supplement or just replace other cooking oils with coconut oil. Coconut oil is very healthy and you should consider it as your first choice when searching for an antifungal to treat Candida. Why Is Coconut Oil Useful for Candida? The three main active ingredients present in coconut oil, capric acid, lauric acid and caprylic acid, are useful in treating Candida. All these are medium chain saturated fatty acids that are helpful in eliminating the infection quickly. Capric acid and lauric acid are stronger of the three. These acids on coming in contact with the enzymes produced by the fungus, convert them into an antimicrobial agent, which then attacks and destroys the fungus. However, these acids are not harmful to the good bacteria of the body, thereby maintaining the balance between the good and the bad bacteria. Coconut oil reduces and controls the inflammation and irritation caused by Candida, thereby curing the infection gradually. Coconut oil has various other benefits too. It soothes the skin almost instantly when it is applied topically. Additionally, it retains the moisture of the skin and prevents dryness, which commonly occurs during Candida infection. How Do You Use Coconut Oil for Candida? Take care to always use extra virgin coconut oil and not hydrogenated coconut oils as a remedy. Initially a small dose of coconut oil should be given, which can be gradually increased. You can begin with 1/4 tablespoon of coconut oil three times a day, increasing it to 1 tablespoon three times a day. You can either directly swallow it as a medicine or use it in cooking. You can also add coconut oil while preparing smoothies, oatmeal etc. Externally, you can rub the coconut oil gently on the infected area, thrice daily. When applied topically, coconut oil helps in soothing the itching and burning caused due to infection. Females suffering from vaginal candidiasis can wear a tampon soaked in coconut oil for a couple of hours. Coconut oil produces results gradually; hence, you have to use it for at least a week to notice improvement. Moreover, response to treatment also depends on severity of the infection and also varies from one person to another.